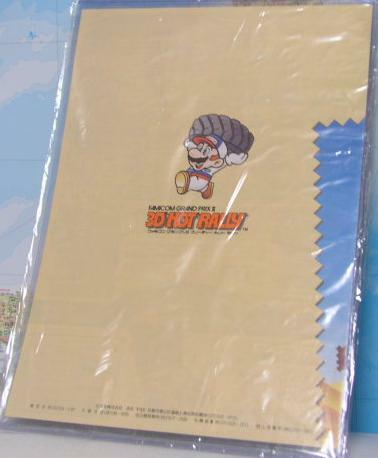 The fourth tournament prize was the official Nintendo stationery set, Disk-kun case, white box, and letter. It included a mechanical pencil, scissors, tape measure, magnets, and hole puncher. Two colors of the set are known to exist: yellow and white. 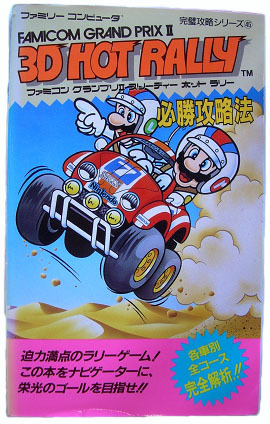 The yellow set had “Nintendo” written on the items in the set, while the white set has “Disk-kun” written in Katakana. All the letters and promotion posters show the yellow set, so little is known about the origin or distribution of the white set. 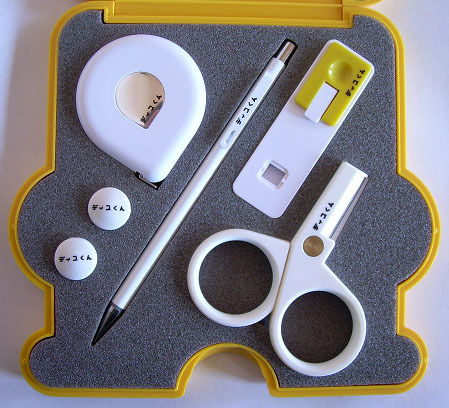 From what is known, the stationery set (at least the yellow, and perhaps the white) was given to 10,000 people: 2,000 to the high scorers on each of three tracks and 4,000 in a raffle. 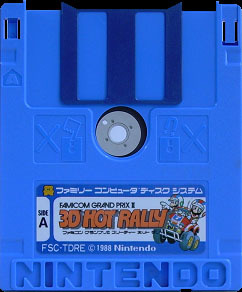 Thank you very much for participating in the Nintendo Famicom Grand II 3D Hot Rally. After aggregating the time data of all applicants we found that you ranked in with an excellent record. Therefore we send you a “Pretty Mini” with Disc Mark design. 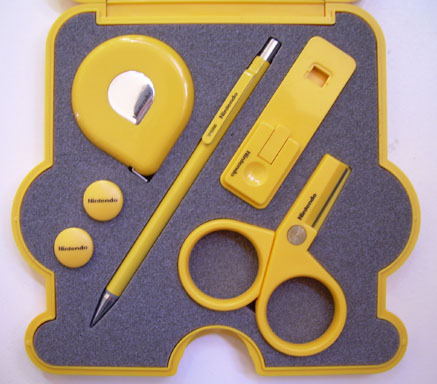 The yellow Nintendo stationery set. The white Nintendo stationery set. The letter accompanying the Nintendo stationery set. 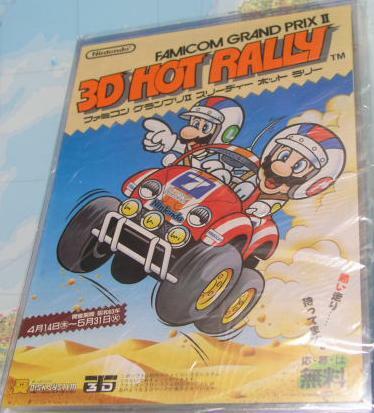 The front cover of the the 3D Hot Rally promotion poster. 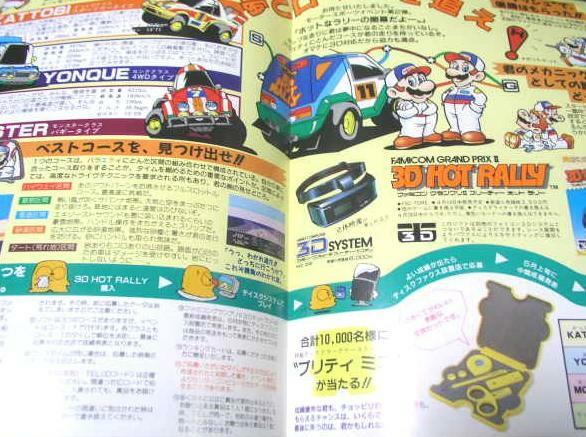 The inside of the the 3D Hot Rally promotion poster. 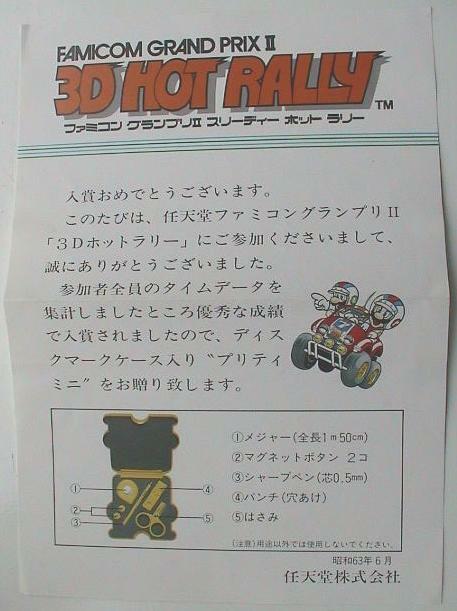 The back cover of the the 3D Hot Rally promotion poster. 3D Hot Rally Player's Guide.